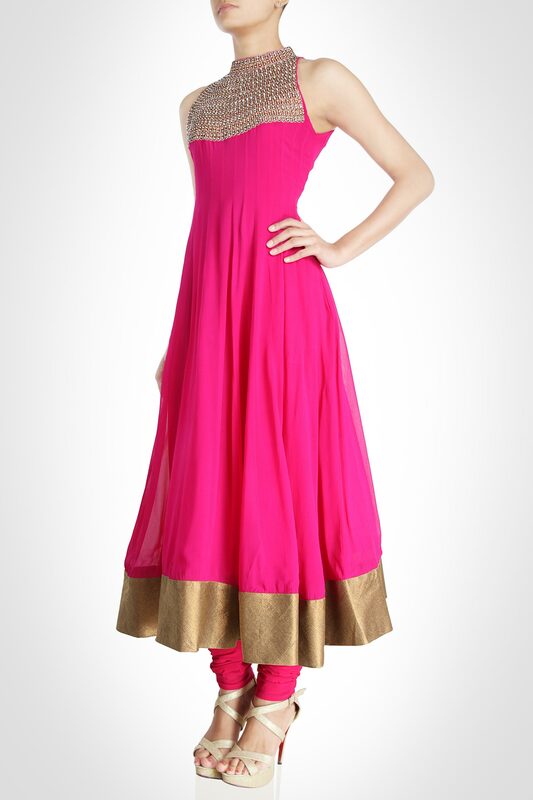 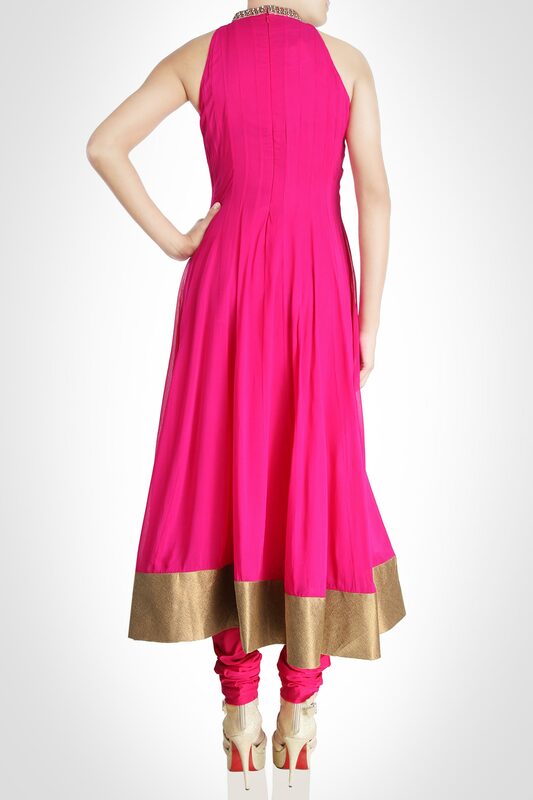 This bright pink halterneck suit exudes a wistful appeal. 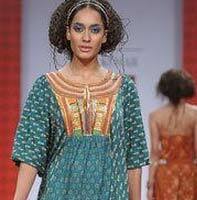 The design is glamorized by the elaborate neck yoke encrusted with glittering diamantes and zardosi work. 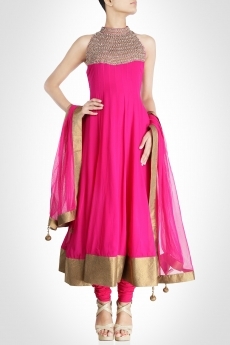 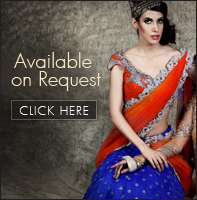 Enhancing the appeal are the broad gold hem and dupatta borders.